Ss. Peter and Paul School provides cross grading (ability grouping at present level of achievement) in both Reading and Mathematics. 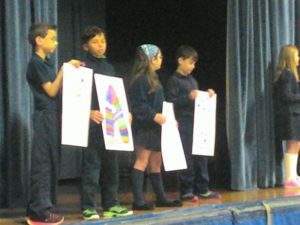 Our 2nd grade students prepare for and receive the Sacrament of Reconciliation. The 3rd grade students prepare for and receive their First Holy Eucharist. 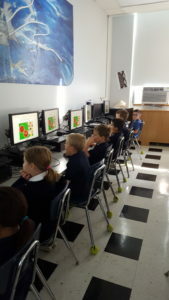 Computer education is emphasized as a part of the daily curriculum and taught as a separate subject in the computer lab which contains 26 computers and a server. Each classroom has 1-2 computers. There is Internet access throughout the school including wireless access points and students are always supervised when using the Internet. The classrooms throughout the school have interactive whiteboard technologies. Students in grades 1 – 5 will take conversational Spanish one day/week.